This Irish apron features a blessing on the pocket along with a Celtic knot motif. This Irish apron features a handy pocket that is enhanced with the Irish blessing. 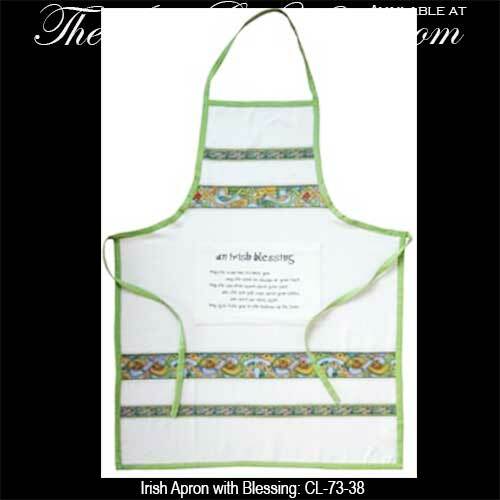 The Irish blessing apron is 100% cotton and it features a full color Celtic motif; it is great for the kitchen or grill and one size fits most. The Irish apron is made in Ireland by Clara and a Celtic knot history card is included, complements of The Irish Gift House.